Certified triple platinum by the RIAA for sales of more than 3 million copies in the United States alone! Ronstadt's fifth consecutive million-selling platinum album, selling more than 3½ million copies in less than a year in the United States — a record for a female artist! One of the most successful albums of Linda Ronstadt's career, Simple Dreams spent five successive weeks at No. 1 on the Billboard album chart in late 1977, displacing Fleetwood Mac's Rumours at No. 1 after 29 record-breaking weeks in the pole position. It also knocked Elvis Presley out of No. 1 on Billboard's Country Albums chart after "The King" held the gridlock for 15 consecutive weeks after his death in August. It won the Grammy Award for Best Recording Package (in addition to several other high profile Grammy nominations). Simple Dreams was Ronstadt's fifth consecutive million-selling platinum album and sold more than 3½ million copies in less than a year in the United States alone — a record for a female artist. Simply put, Ronstadt just couldn't lose. Simple Dreams continued a creative streak that found the singer turning out album after album of incredible material at an astonishing one-per-year rate until she finally began to come back down to earth in the early 1980s. Now hear Simple Dreams as never before. Remastered by the late, great Doug Sax at the Mastering Lab, together with Robert Hadley, and pressed on 45 RPM super-silent 200-gram vinyl by Quality Record Pressings, this revered recording truly is a sonic treasure. And it comes in a Stoughton Printing tip-on gatefold jacket with meticulously reproduced original artwork. Stunning. Featuring an expanded palette of styles and cutting-edge narratives, Simple Dreams may go down in history as Ronstadt's greatest work. Considering the achievements: Grammy nominations for Record of the Year and Best Pop Vocal Performance, Female; Five consecutive weeks as the No. 1 record on the Billboard Album Chart, Two Top 10 singles. 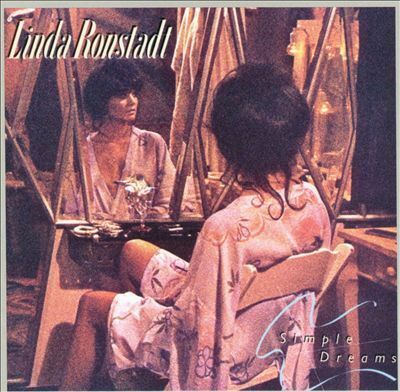 Featuring a broader array of styles than any previous Linda Ronstadt record, Simple Dreams reconfirms her substantial talents as an interpretive singer. Ronstadt sings Dolly Parton ("I Never Will Marry") with the same conviction as the Rolling Stones ("Tumbling Dice"), and she manages to update Roy Orbison ("Blue Bayou") and direct attention to the caustic, fledgling singer/songwriter Warren Zevon ("Poor Poor Pitiful Me" and "Carmelita"). The consistently adventurous material and Ronstadt's powerful performance makes the record rival Heart Like a Wheel in sheer overall quality. Linda Ronstadt’s Simple Dreams continued a creative streak that found the singer turning out album after album of incredible material at an astonishing clip. Featuring an expanded palette of styles and cutting-edge narratives, the 1977 set may be Ronstadt’s greatest work. Paired with expert producer and arranger Peter Asher, Ronstadt delves into even deeper emotional waters to convey the feelings associated with loss, fantasy, risk, and romance. Her choice of material—ranging from covers of Roy Orbison to Warren Zevon material—is simultaneously appropriate and bold. Half-speed mastered from the original master tapes, Mobile Fidelity’s numbered limited-edition 180-gram LP marks the first time that this timeless classic has been remastered. Intimate, immediate, and detailed, the pressing brings Ronstadt’s seven-octave range to the fore. These songs have never sounded so emotional, rich, pure, or, human.